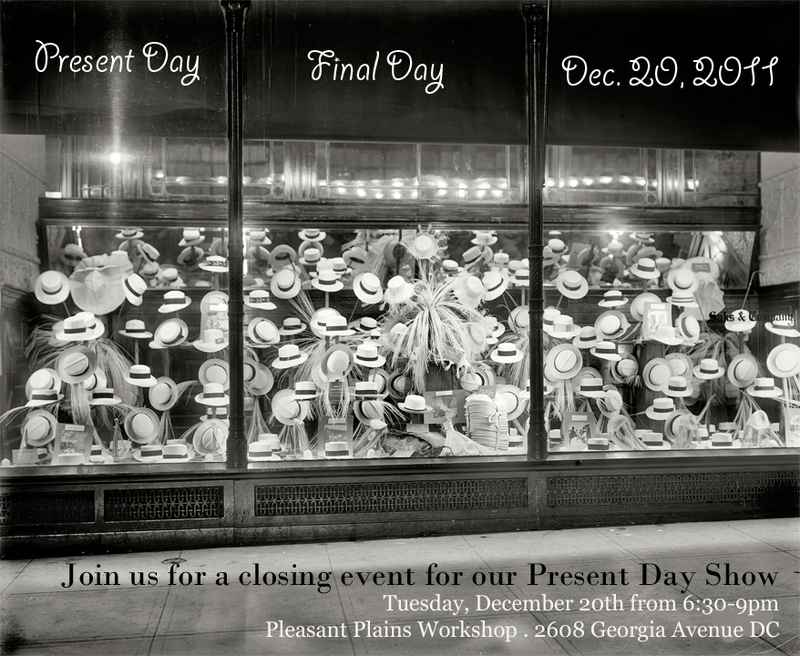 Final Days of Present Day: weekend hours and a closing event! And for one last goodbye to the show (and for your LAST MINUTE shopping needs) we are hosting a Final Day event here on Tuesday, December 20th from 6:30-9pm. We’ll have refreshments, special discounts, and as an added bonus, sample menu items from our new neighbors, Mama Chuy DC!